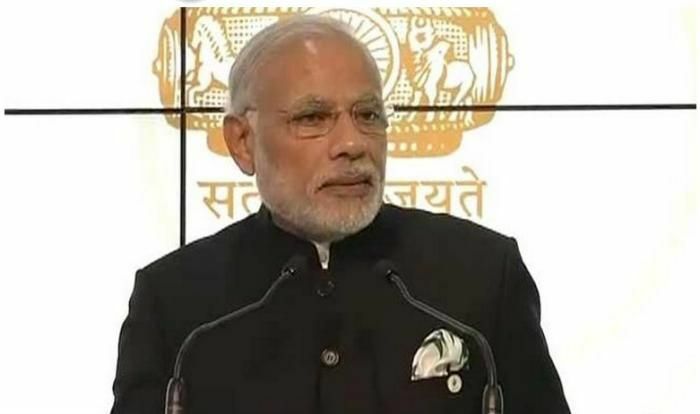 Speaking at India Pavillion launch at the UN COP 21 conference in Paris Prime Minister Narendra Modi said, that climate change is not India's fault. Calling for a comprehensive equitable and durable agreement at Paris summit, Modi urged the developed nations to share resources and technology with those 'who live between want and hope'. He further said that the choices which the world make at the summit will have an impact on India and other developed nations. Outlining the changes in India as it adapts Modi resounded that by 2030, 40% of India's installed capacity will be based on non-fossil fuel. "Climate change is a major global challenge but it is not of our making. It is the result of global warming that came from prosperity and progress of an industrial age powered by fossil fuel," PM Modi said. "But we in India face consequence. We see the risk to our farmers. We are concerned about rising oceans that threaten our 7,500 km of coastline and 1300 islands. We worry about the glaciers that feed our rivers and nurture our civilization," he added. 40 films with around 21GB of information on adaptations. The E-book have eight chapters starting with how India has been environmentally conscious since ages and has worshiped nature like God. Chapters on how India has been conscious environmentally through various ages like the Vedic age, influence of Buddhism and others. Touch screens providing information on how India has taken adaptation measures in four regions, including conservation of coral reefs in Gulf of Mannar, glacier protection in Ladakh, heat action plans in Ahmedabad and Gujarat amongst others. A 360 degree giant screen where films on India's actions are being screened continuously through more than a dozen projectors. There will also be three to four side events on mitigation and adaptations every day.